Since February 2015, Rimrose Valley Friends has existed to promote and improve the wonderful community resource that is Rimrose Valley Country Park. We are the connection between Rimrose Valley, the community and statutory bodies such as Sefton Council and Merseyside Police, and we will foster links with other interested groups such as the Canal & River Trust and the Woodland Trust to name but a few. We will also be applying for and acquiring funding to inject investment into Rimrose Valley to enhance it’s beauty and function to the communities it serves. As well as planning to bring positive enhancements and investment into Rimrose Valley, we know there are concerns regarding anti-social behaviour which is causing distress to park users and local residents bordering the park, meaning that some people believe that Rimrose Valley is an area to avoid. We are working closely with the community, Merseyside Police and Sefton Council to address these concerns. We invite anyone who wants to support us to become a Rimrose Valley Friend. Within our first 12 months we grew to around 650 friends. This shows the strength of support we have. We are actively encouraging as many people as possible to become a Rimrose Valley Friend so that Rimrose Valley can be a beautiful and safe place for all visitors and local residents alike. 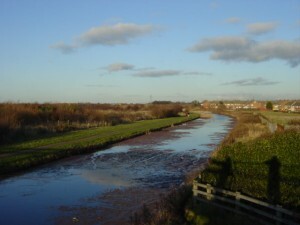 Rimrose Valley is bounded by the Leeds Liverpool canal to the east and the Southport to Liverpool railway line to the west. Reclamation of the site started in 1993 with the aim of improving the area as both a recreational and educational resource for local people. The site now has two Sites of Special Local Biological Interest (SLBI’s), at Brookvale Local Nature Reserve and also vast reed beds at Fulwood Way to the east of the site. The country park is a well established popular area of countryside in the south of Sefton. This is an 8.2 ha Local Nature Reserve (LNR) situated at the western tip of Rimrose Valley Country Park. The nature reserve is home to a flora and fauna community typical of an established wetland. In the dryer grassland areas it’s not uncommon to find Southern Marsh and Spotted Orchids along with more coastal species like Evening Primrose and Bugloss. An abundance of bird life can also be found with good numbers of Snipe, Water Rail, Woodcock, Dunnock, Common Whitethroat and Blackcap along with breeding pairs of Reed Warbler, Grasshopper Warbler and Reed Bunting. Summertime reveals an array of insect life including Southern Hawker, Broad-bodied Chaser and Common Darter dragonflies along with familiar butterflies like the Gatekeeper, Peacock and Speckled Wood. Several Water Vole territories have also been identified along Rimrose Brook.